In February, we have our own Glenn Jensen as the featured speaker. Glenn will be giving us a presentation on carving, shari, and jin; showing us how to give the appearance of age on a tree. Jin is the dead top of the trunk or branch that can give the tree a natural lightning-struck effect. Shari is an area where the bark has been peeled back to give an old, weathered look. Done right it creates a wonderful focal point for a tree; done wrong... well we won’t go there. Glenn's interest in Bonsai began in the late 1960's while attending Dental School at USC and he chanced upon a California Bonsai Society show at Exposition Park in Los Angeles. Glenn then studied any bonsai publications he could get his hands on. Glenn was fortunate to take bonsai classes with Harry Hirao from 1978 to 2002 and John Naka from 1982 to 1998. 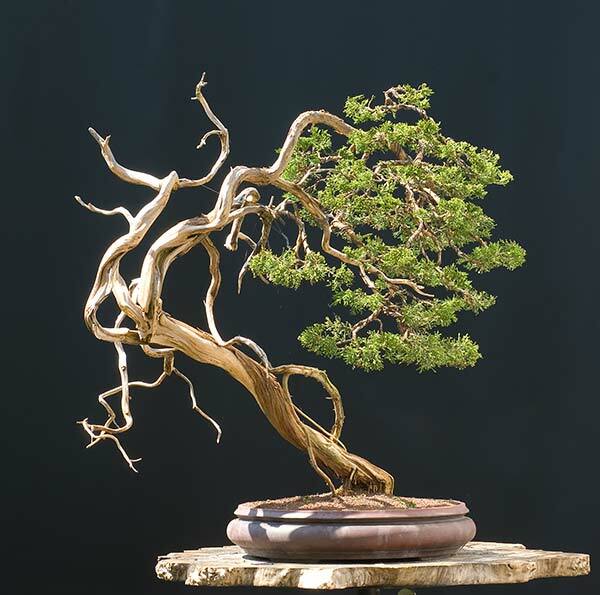 In the more recent past, he has studied with Kenji Miyata who has been a great source of contemporary Japanese bonsai knowledge. Glenn is a member of both the San Diego Bonsai Club and California Bonsai Society.